As an educational institution, organizing an effective workflow is an essential part of expanding accessibility for all, across your institution. An effective workflow will allow captioning and transcription services to reach a wider audience. AST can help set up a captioning workflow for your institution and allow work to get done faster while maintaining its high quality. AST has been working with education clients on developing an effective captioning workflows for over 15 years. Our dedicated team of experts and engineers can help organize an effective workflow for your institution and navigate you through the challenges involved. In just a few days, AST can personally show you how to use CaptionSync to upload content for captioning and transcription, and help you set up an integration that automatically uploads captions to your online content. In this article we’ll give you an overview of some of the steps taken by AST to help organize your workflow. 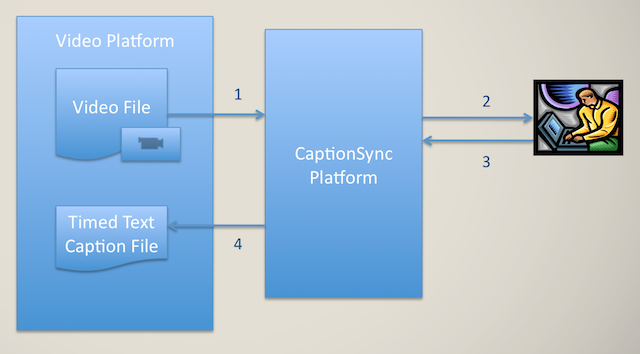 Once you’ve created your CaptionSync account, users can easily set up an integration for each of their platforms. AST offers integrations that allow users to add closed captioning to content that’s hosted online in various platforms, including Panopto, VoiceThread, and more. This eliminates the “manual method” of having to upload caption files to videos directly. With a workflow integration, the captions are uploaded automatically by AST. We can also help you create your own custom API integration to automate your captioning workflow. Often this can be accomplished in just a few days. If you store videos in a proprietary system that we have not integrated with, it is extremely easy to create a custom integration using our CaptionSync REST or SFTP APIs. We have had customers and partners who have automated the captioning workflow in a matter of hours. Once an integration is in place, staff time is reduced dramatically, and learners have access to captioned, accessible video much more quickly. Below is an example of the flow that can be developed using our APIs. Our Support Center provides details on how developers can create a test account and use our APIs to automate your captioning and audio description workflow. The benefits of integrating with AST are twofold. First, when it comes to workflow there is no need to download and upload caption files. CaptionSync adds them to your platform video accounts automatically. In addition to this, integrations can be set up to allow you to select any of our available turnaround times, including 4-business day, 2 business day, 1 business day, and 8-hour turnaround (for all business days). While fast, these turnaround times provide over 99% the accuracy — much higher than the accuracy levels of crowdsourcing and speech recognition solutions. First you will need to enable your account for Google Drive integration. You can do this by logging into your CaptionSync account and clicking on Settings > Account Features. You will receive an email notifying you that the feature is enabled. Once you receive this, you can go into your CaptionSync settings, click on Google Drive, and Associate a New Google Account. After this, you will be prompted to give CaptionSync access to your Google account. It may ask you to login first. After logging in, click the allow button. After setting up this integration, you can start submitting content for captioning. To do this, log into your Google account and go to My Drive. You can access the files you want to submit in your drive. Right-click on the video or videos you wish add captions to, and scroll down to Open with > CaptionSync. Submitted content must be in MP4, M4V, and/or MP3 format. The media files you want captioned must have a sharing setting of Anyone with the link can view at least until the file is downloaded into our system and there is an AST ID for the request. Once there is an AST ID in our system, you can either leave the setting as Anyone with the link can view or change it to a specific setting. There are several ways to set the Sharing settings in Google Drive, but one simple way is to select files (or a folder) and then click Get shareable link. After selecting Open with > CaptionSync, a screen will show up giving you various options. You can then select the desired turnaround time, include a persistent note, add guidance for the transcriber, and include a purchase order if you have one. Once you’ve input the information, you can click submit. With this integration, as with our many others, all you need to do is submit a request with a few clicks, and AST will do the rest. Once the captions are complete, you and your users can view the video with captions using the CaptionSync Smart Player. More information on how to view the status of a request and Google Drive Integration can be found in our Support Center. 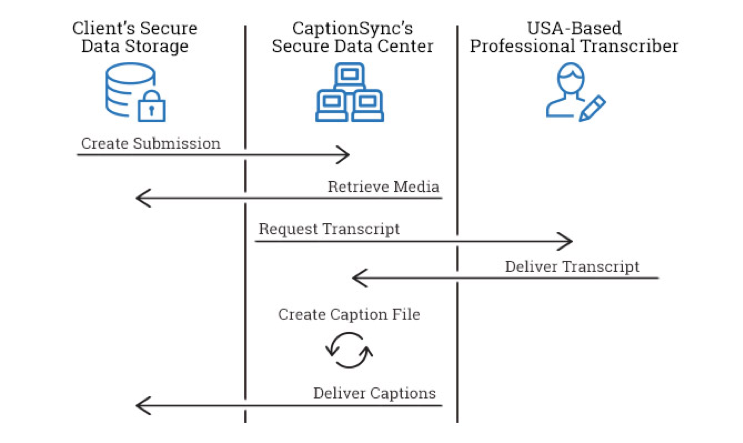 Here are some of the captioning workflow integrations we offer. The full list of integrations AST offers can be found on our website. 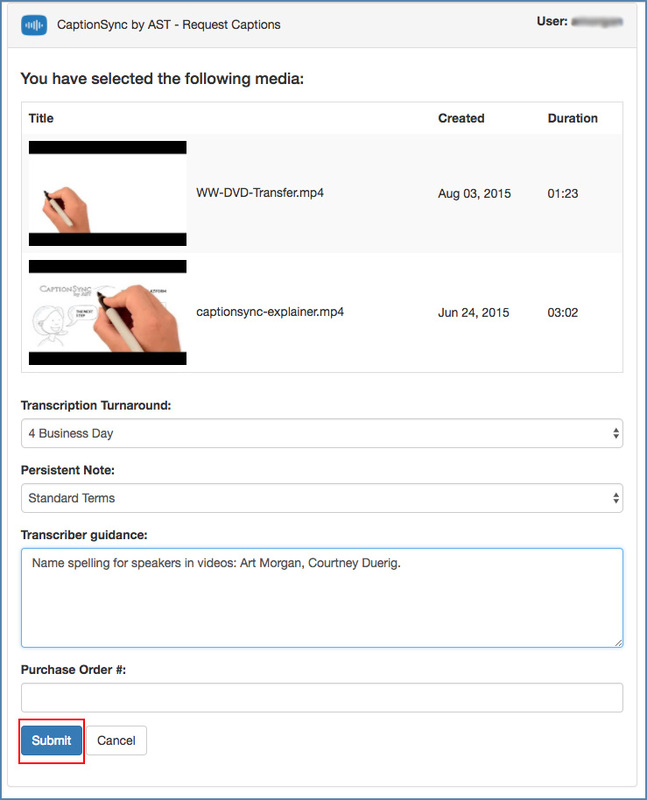 If you’re ready to get started improving your captioning and audio description workflows with CaptionSync integrations, view detailed tutorials in our Support Center. All of the topics mentioned here today are found in our Support Center.